This weekend was a four day weekend, not a three day as most are going to say. Why? Four rides. Four. All on my favorite trails and each with something unique about them. Friday night. Fast with the intent of getting a strong workout in before dark. That ride concluded with an impromptu party in the parking lot at the end with the trail regulars. I am now in. They called me over to offer a beer to me, the price being the telling of the story of the wrong shoes. Saturday morning. Heart pounding warmup, followed by guiding a father and son through the trail system, then meeting little blue eyed Katherine and her family. I have been smiling about the sweet innocent offering of fruit treats from confident Katherine ever since then. Sunday afternoon. My friend Jon texted me around noon to call me out to the trails before the predicted rain came in. Jon is one of the best bicycle riders I know, whether on the road or trail, and we put two solid hours of trail riding in. At the end, we had to deal with light rain, managed to load up our bikes moments before the deluge hit. Monday morning. This morning. My friend Jim asked if I would meet him for a trail ride. I had contacted him last week after the fateful Monday evening blow up with Miriam. This morning’s ride was on our calendars since last Tuesday. Even though it was a rainy morning, Jim insisted that we ride, so we braved the sometimes slick trails and kept to the double track once the rain started coming down steadily. My ride this morning was less about the ride and showing off my new bike as it was a time for Jim to lend his ear to me. Jim and I share similar faith in God, have supported each other a lot over the years. I lent him my ear during his divorce and through each girlfriend since then (got to laugh at that.. Jim is very selective, a good looking successful guy.. he has had a lot of girlfriends the last six years). I have learned a lot about the ups and downs and struggles and victories a divorced man faces by knowing Jim like I do. I have a consultation with a divorce lawyer and mediator tomorrow. Yes. I have taken the next step, want to find about more of what might be to come. This does not mean I am taking that step, but it does mean that I am serious. Something tells me that four days weekends are going to be very important and necessary for me. Four day weekends are the absotutely fer sure best. Any weekend that promises the opportunity to ride four times is a four day weekend, no matter whether it starts at 4:30 PM on Friday or not. Mine did. Mine started Friday evening with a fast fly around the single track dirt trails at my favorite place in the world — Saw Wee Kee park. One of the perks of riding there on a Friday evening is that most of the regulars ride, then hang out in the parking lot for an impromptu party. I have joined the ranks of the regulars now, with a bit of respect garnered from being one of the older guys who can hold his own. One rider, Ernesto, makes sure he has a cold Not Your Father’s Root Beer ready for me, the cap off and handed to me as I roll off the trail, the only price being that he gets to tell the story of the night I brought one shoe with my road cleat on it. This morning was one of the better rides I have had at Saw Wee Kee. My routine is to ride a loop to the back of the park to warm up, return to the parking lot to catch my breath and head back in. When I rolled off the trail this morning, I met a father with his 12 year old son who were at Saw Wee Kee for the first time. He wanted to know what trails were the best in the park. I volunteered to lead them rather than try to tell them where to go, an offer they gladly accepted. Our ride turned into a bit of a training ride, my limited knowledge surprisingly more than what I thought, and I had a lot of fun watching both father and son improve as we rode. Ray, who turned out to be just a few years younger than me, worked hard but crashed several times. He earned quite a bit of respect from Chris, his 12 year old son, something I was thrilled to see. Frankly, I was a bit jealous! The best part of my morning came at the end of the ride. Several times along the trail we saw a young couple, the mother with a two year old boy in a sling on her back, a little blonde haired girl chugging enthusiastically on her tiny bicycle between them. They weren’t riding the technical trails, just the transition double track, but it still was not totally simple riding. Every time I saw them, it put a smile on my face. The mom was putting her little boy in the back of her car as I finished my ride. She told me that her daughter wanted to ride a little more with her husband. I had to let her know how impressed I was, especially after she told me that they had braved some of the twisty and difficult trails, even though they had to walk at points. While we talked, her little girl pedaled up to us with her father, a broad smile on her face. She was proud to tell me how much she liked to ride. I asked her how old she was. Patrick, her father, told me his daughter had been riding her little bike without training wheels since she was two years old. TWO! He was justifiably proud of his little girl, beaming as I expressed my appreciation for the ride his little girl had just done. It was impressive. We talked a little by my car, Patrick asking about the bike rack that I use. Katherine announced to me without any hint of bashful — the girl talked to me like she knew me forever — that she is four years old. I loved the way she told me her name, her chest puffed a little as she answered my question. 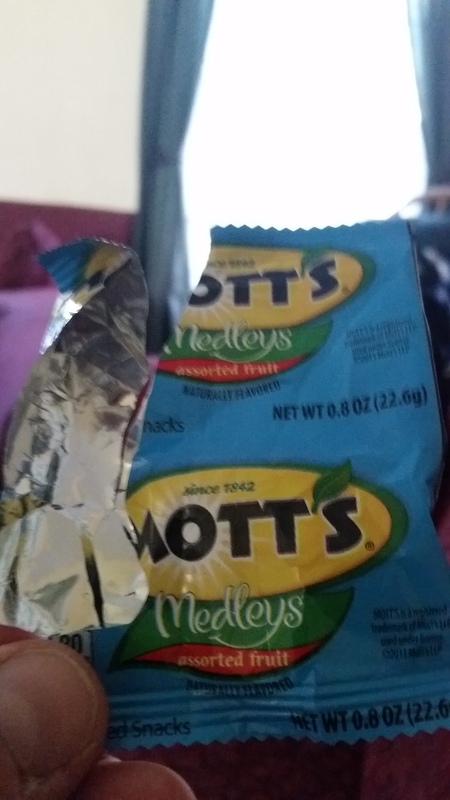 What really made my day was when Katherine approached me, then handed me a package of fruit treats. “Thank you. This is the nicest thing to happen to me today.” And she smiled the cutest little smile for me. I made sure I ate one as she watched. “See? I bet you have more energy now.” Katherine took my hand to lead me back to their car, where her mother had a nice picnic lunch ready for her family. I shared some time with them, found out where they live and a little about their lives. My first car was going to be quite the chick magnet, I just knew it. Somehow I had managed to save around $800 from mowing lawns, delivering newspapers, and washing dishes despite my penchant for wasting money on baseball cards or record albums. In 1978, $800 was a decent amount of money, enough to purchase a little more than a clunker.. although not much more than a clunker. I wanted a Dodge Charger or Challenger, a Chevy Camaro or Monte Carlo or Oldsmobile Cutlass, maybe a Ford Mustang. My 16 year old mind didn’t think so much about being able to afford to maintain and insure the car. It needed to be fast and cool, a cruising machine. By 1978, muscle cars were still what most of my high school friends coveted in the small Central Illinois town where I lived. Each Friday or Saturday night we descended on a small strip close to the McDonalds on MacArthur Boulevard in Springfield, Illinois. A stream of shining vehicles with mag wheels and white lettered tires cruised slowly through a parking lot filled with teenagers sitting on cars, girls with big hair and tight Guess jeans strolling from car to car. My Mom’s Chevy Caprice was not exactly the perfect cruising vehicle, pretty much the equivalent of driving a mini van these days. Diligently I searched for the perfect car, found a few that these days would still turn heads, including a ’68 rag top Camaro that I nearly bought. That same day, I did find the car I wanted and drove it home for my dad to see — a ’71 Dodge Charger with the 440 six pack engine and a vacuum operated hood scoop that popped up when a switch under the dash was turned on. The car was purple with white opera top, white interior. It flat out flew. Dad took one look at the Charger and simply started shaking his head NO. I couldn’t argue with him. The first month I had my driver’s license, I had an accident and two traffic tickets. Dad was good about stuff like that. When I started mowing lawns and decided that a lawn tractor would get me more business (and it did), Dad loaned me the money I needed to finish paying for the tractor. He knew what he was doing. For the rest of the time I lived with my parents, he never had to mow the lawn again. Once I had that car, his own car expenses went away and when I went to college, I had my own transportation to/from school. My first car was the car that Dad found for me, a ’72 Plymouth Duster, red with the slant six engine, no air conditioning and black cloth interior, an AM radio, about as basic of a car as you can get. There was so much room under the hood that I could stand underneath the hood to work on the engine. It wasn’t the ultimate chick magnet cruiser, but it also wasn’t my Mom’s Chevy Caprice either. Dad helped me install a nice under dash eight track stereo along with some heavy duty speakers. I must have waxed that car at least once a week. I had my cruiser. Many a weekend, I cruised with my brother Mark and our friends Bob and Jack. The Duster also had a large front bench seat, something I really appreciated when I started dating Tami. That car holds some very sweet memories for me. Before I was done with it, the rear body panels rusted so badly that the trunk was almost useless. When the plastic front grille cracked and fell out, Dad and I replaced it with gold aluminum mesh left over from a screen door project Dad had left over. That car was mine for five years. I let the oil get too low and seized the engine. Dad found a replacement engine at a junkyard, my brother Mark bought the car from me and drove it for a few years until my youngest brother, Paul, was ready for the car. Eventually I did get the cruiser I wanted, a black ’86 Chevy Cavalier Z24, as well as a ’84 Yamaha Virago motorcycle. They were both vehicles that got a lot of attention, but neither were as special as that first car. My next door neighbors, good natured Chicago Cubs fans, decided last week to goose me. 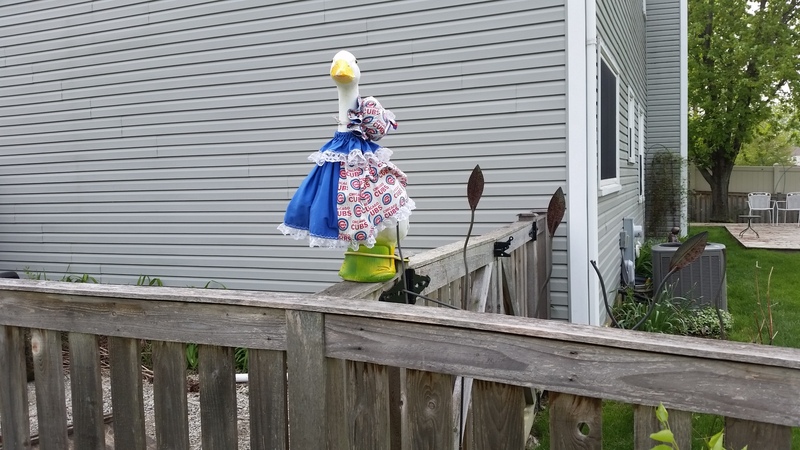 When I went out to my back yard to mow the lawn Thursday night, I noticed that a plastic goose was perched on the corner of the fence and facing my yard. Odd, I thought, why is that goose on the fence. Don’t people usually put them on their front porch and dress them up in various outfits? Then I noticed the outfit it was wearing. Maybe more odd is that the neighbors on each side are both Facebook contacts. The Cub fan neighbors each are contacts. So I expressed my appreciation at being goosed by taking a picture and posting it on Facebook. 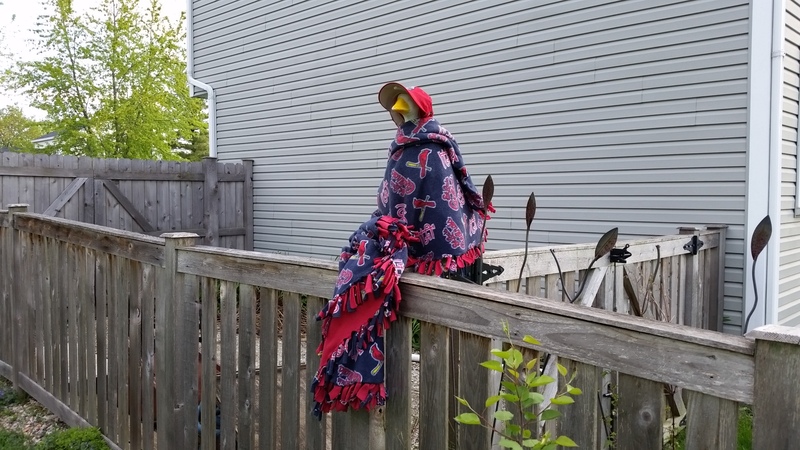 Tonight, a rather cool May evening, I wrapped the cold goose in one of my Cardinals blankets, put a Cardinals hat on da goose, and goosed my neighbors back on Facebook. The war is on. Now they are threatening to fertilize GO CUBS on my front lawn. I wish I could take everyone I know on a bike ride with me. Seriously. While it might take a while for a person to recover from the sight of me wearing spandex, the joy and wonder of what you see and experience on a bicycle is worth any ill effect brought on by seeing an old guy in bike shorts. Besides, I look pretty dang good in bike shorts. When I added mountain biking to my repertoire two years ago, the list of places I want to share has grown. Don’t get me wrong, there are so many road rides that I have done that anyone should experience at least once, such as riding in the clouds on the Blue Ridge Parkway or winding through the steep climb on Johnson’s Mound here in Chicagoland or descending the Wildcat in western Wisconsin. 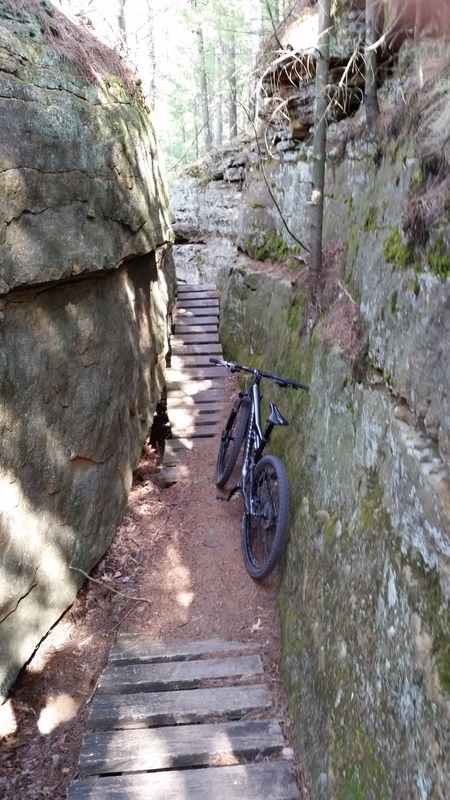 Mountain biking has taken me into some wondrously quiet as well as exciting places, the beauty of the woods and the rocks, challenges and variety I never experience while riding my bike on the road. There is the thrill of bombing a steep drop, shredding a twisting trail, splashing through a clear creek, bouncing over a tall log, rolling over a large rock. If I had the choice of what I could do every day, it would be riding a bicycle. Does that seem strange for a man who is nearly 54 years old to say? Probably not or at least not any more. Last week I took a business trip to the Minneapolis area. From where I live just west of Chicago, it is almost exactly a six hour drive. When I get the chance to drive instead of fly, I drive. Why? I have nothing against flying. The cool thing about driving is that I can take my mountain bike with me. 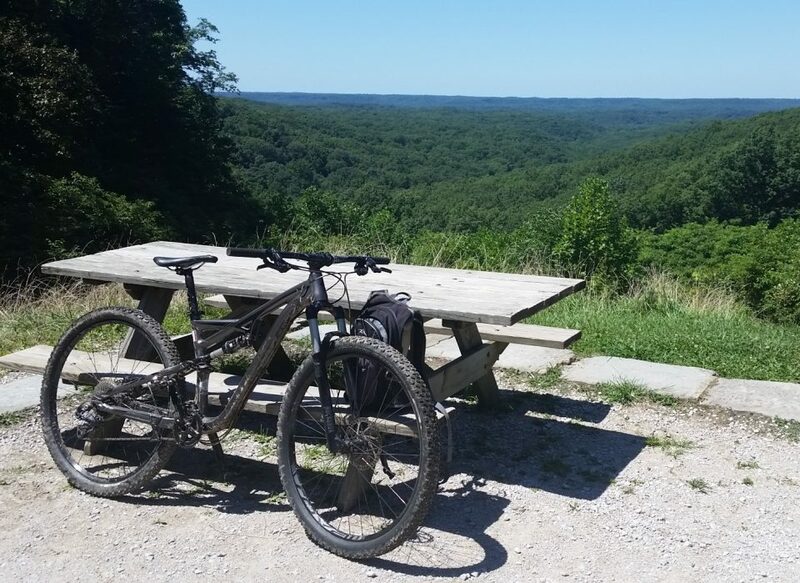 So for this business trip, I left on Saturday morning, drove 4 hours to a place called Levis Mound (close to Neillsville, Wisconsin) where there was promise of what was listed as an IMBA (International Mountain Bike Association) epic ride. I wasn’t disappointed. Holy cow was that place beautiful with some of the most awesome trails I have ever seen. Take a look. This was towards the top of the mound, so unique and difficult. I have never been on trails so well built and maintained. 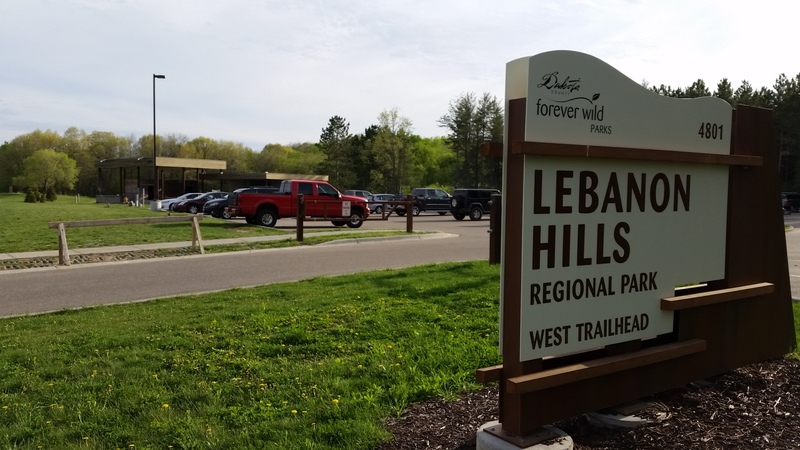 Then there were the Minneapolis regional trail, like Lebanon Hills Regional Park, ten minutes from my hotel room. 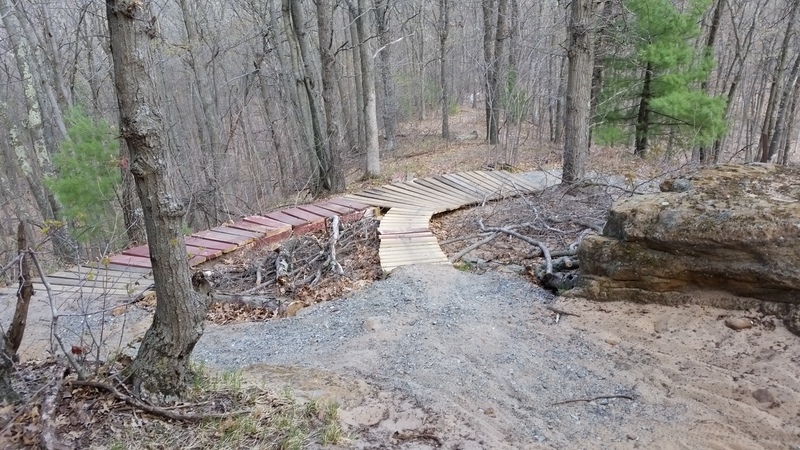 I rode almost four hours at Levis Mound on Saturday, then rode Sunday/Monday/Wednesday at Lebanon Hills. It was such a good week. I made it back from Mnneapolis on Thursday in time to play 12″ softball on the men’s team I have been asked to play on. My friend, Curt, thinks I am one of the better third basemen he has seen. I don’t know about that, but I played very well Thursday night. I am nearly 54 years old. Sooner or later my age is going to catch up with me. Some day I am not going to be able to ride like am now. When is that going to happen? I don’t know, but I am going to enjoy it while I still can. Come ride with me. Do it now. I hope you all can! Mother’s Day this year was different for me. No. No one gave me flowers or called me a mother. I have been called a mother before but that was in a far different context. Previous celebrations usually involved my stopping off at the store on the way home from church with the kids to buy something we could all cook together — Alyssa an apple pie, Nate a fruit salad, myself a pasta salad and something for the grill, while Mir shopped for herself early into the afternoon while we prepared a nice lunch. The flower boxes on the front porch were also filled to greet her when she came home. This year was different, though. Alyssa is four hours away at college. Nate is 15 years old and acting like it. I planted the flowers two weeks ago. Mother’s Day proved the transition our family is in, the time when our children are not little any more. Sad in some ways, happy in others, but true. There would be no meal together, no gathering with Mir and the kids. Alyssa had been asking when we were going to come visit her. Mir has been busy with her job, Nate with the school tennis team. I wanted to go see her on my own, but thought it better if I could convince Mir to come with me. What better day to do that than Mother’s Day? Right? Of course I am right! Miriam has a very good relationship with Alyssa. They needed to spend time together. I approached Miriam with that thought, told Alyssa what I was doing.. and Mir went for it. There was a caveat — Nate was being a 15 year old male and would not go, so Mir would only go to see Alyssa if we left early on Sunday and came back the same day. Easy. That I have done, so easy to agree to. Mir has changed in the last year. I would never have been able to get her into the car, ready to go, with zero anxiety, by 5:30 AM prior to the past few months. We had to meet our daughter, who would be with her boyfriend and friends, at church in Muncie, Indiana before 11 AM. We were rolling at the time I prescribed, sailing on clear interstate, four hours alone together in my VW. Once I got past the teeth grinding, the trip was actually pleasant. She only screamed and grabbed the dashboard once the entire time. I like the relationship the Mir has with Alyssa. 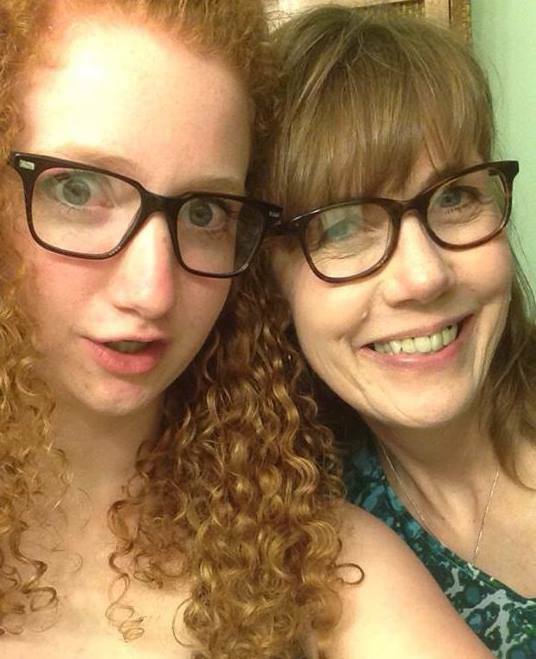 Mir cherishes her daughter, has invested a lot of time in their relationship, and it shows. Her demeanor lit up as Alyssa bound out of the car to hug her and Mir turned into the positive person I don’t see enough of for the rest of the day. Alyssa was excited to see us both, especially wanted to share the church with the rocking gospel choir with me and with her mother. I could see why. The place rocked, even coaxing Miriam, buoyed by the presence of her daughter on her special day, to dance a little in place (I have never, ever seen that from her). 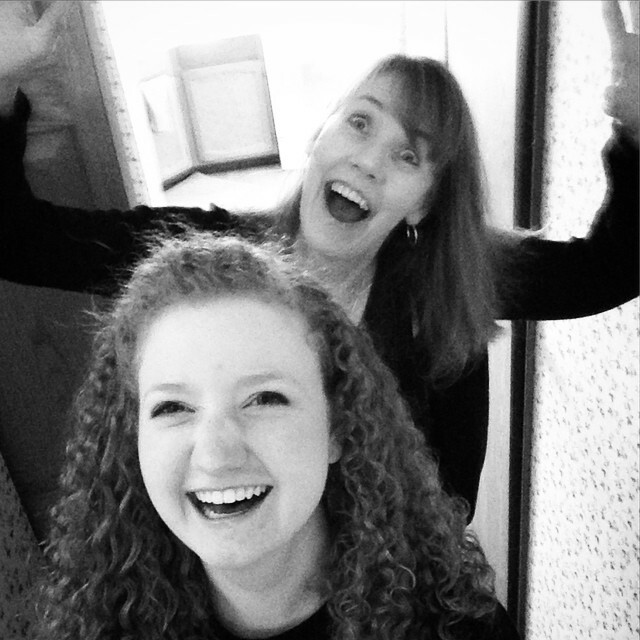 Alyssa and Mir had fun with a selfie stick the last time Alyssa was home. We took Alyssa and her friends to lunch at one of those combo Long John Silvers/A & W restaurants. I had to wear the paper pirate hat, something my daughter expected from me. Mir and I took Alyssa back to her dorm room, where we talked for a while. I excused myself to go take a nap in the car, let Mir have some time with her daughter. It was good for her and as we left Alyssa with her boyfriend after some coffee together, Mir thanked me for taking her — something I haven’t heard from her in a while. Both of us frowned a bit as we drove away, though. Our daughter put on the freshman 10, probably more, and the shirt dress she was wearing revealed her heavy legs. Say what you want, but we were worried. We know that we can’t say anything to her about the weight gain. I am worried more about her getting her heart broken than anything else. Mir was worried about that and a myriad of other worries related to the weight gain, so much that eventually I had to change the subject. This trip ended up being the most relaxed we have been together for as long as I can remember. We stopped for dinner on the way home, Mir fell asleep for the last two hours of the trip, giving me the break that I needed. She awoke as I drove into our neighborhood, exclaiming “How did we get here so fast?”. I don’t always paint a positive picture of my wife here, a side I don’t often show. I am glad I got the chance, perhaps spending time with her on her favorite day helped.